On Thursday, the round-robin ended in spectacular fashion with the last quarter-final spot not decided until the last flight and the quarter-finals kicked off. Eight teams moved on including the Swedish teams of Anna Östling and Johanna Bergqvist. The spectators on Lysekil’s beautiful cliffs were able to enjoy fantastic match racing in the dazzling sunshine and shifty westerly wind. As the wind forecast for Friday shows up to 50 knots, the race comittee made the decision to skip the repechage round and move on to quarter-finals with the eight highest ranked crews. ”You can never give up, if you do, you might as well stay at home. I compare it with a party – if you’re thinking about how to get back home from the party, before it even started, you shouldn’t go”, says Lisa Gerkman, bow, about the win. 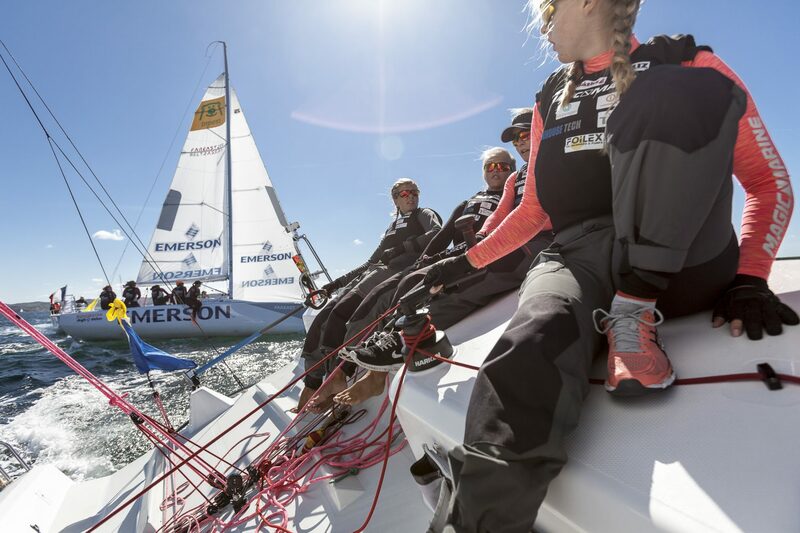 However, as the quarter finals started, Koch and her crew sailed as stable as ever and took two wins in a row. If the race committee decides to cut to a best-of-three format due to stormy winds on Friday, this means Koch is ready for semi-finals on Saturday. This goes for Johanna Bergqvist and her crew Team Bergqvist Match Racing as well, who got off to a better start giving them a solid lead in their first match against Claire Leroy, skipper for New Sweden Match Racing Team. A lead they could keep all the way over the finish line. The second match was much more even but when Leroy’s gennaker went up with an hourglass twist, Bergqvist could easily sail toward a second victory. “We did a split start since the started sailing by the lee. We noticed there was quite a lot of pressure on the right and that we had to go in and face it. We got a samll lead which made it easy for u sto stick to our strategy”, says Johanna Bergqvist who leaves today with a good feeling within her team. In the evening the winds faded. Swedish team Anna Östling and French team Pauline Courtois both won their two quarter-final matches and are also in a good position for the semi-finals as they raced in light and shifty breeze. Decisions regarding tomorrows competiton have not yet been made. 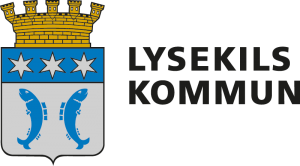 For Sanna Mattsson (SWE), Octavia Owen (GBR), Ekaterina Kochkina (RUS) and Margot Vennin (FRA), Lysekil Women’s Match 2018 is over.